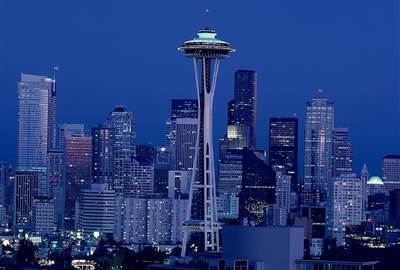 Seattle, known as The Emerald City is a seaport city in the state of Washington on the west coast of the United States. It is the fourth largest port in North America and a major gateway trade with Asia. 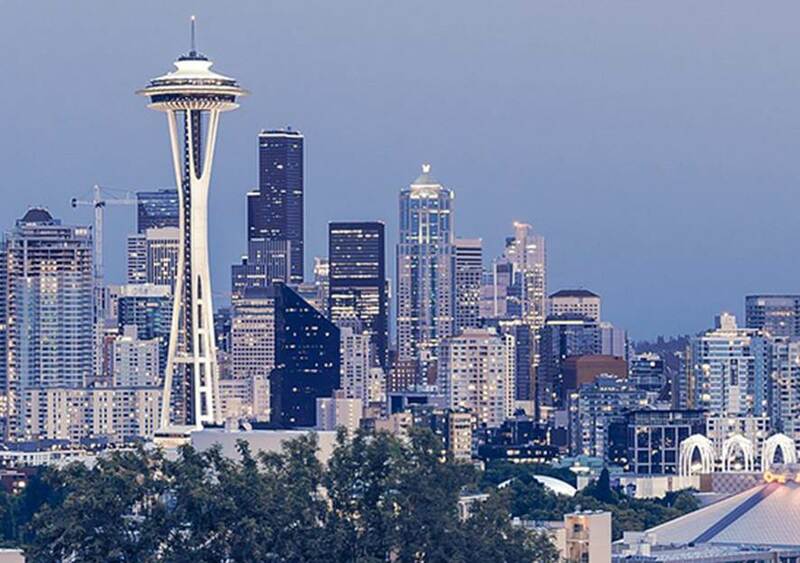 It is the largest city in the state of Washington and has a population of around 700,000 in 2016. It was the fastest-growing major city in the United States in 2016 with an annual growth rate of 3.1%. Seattle itself is hilly. 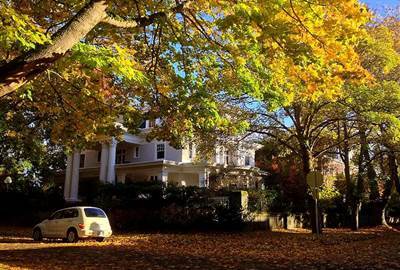 It is said to lie on 7 hills - Capitol Hill, First Hill, West Seattle, Beacon Hill, Queen Anne, Magnolia, and the former Denny Hill. The city is also surrounded with rich sea, rivers, forests, lakes, and fields. This gives anyone who visits the city a breath-taking view of the downtown. Coffee is not the only popular drink in Seattle. There are a lot of bars and café's offering great beer, whiskey and cocktails, too. Seattle's climate allows for a year-round of outdoor recreation. Spacious parks surround Seattle such as Lake Union Park, Gas Works Park and Green Lake Park. Each place provides panoramic views of the Seattle skyline. Seattle aside from being a great place for outdoor fun like walking, cycling, skiing, and sailing; is also a regional center for the performing arts. The McCaw Hall is the home of Seattle Opera and Pacific Northwest Ballet for their regular performances. The century-old Seattle Symphony Orchestra is resident at Benaroya Hall, a 2500 seat performance center. There are also movie houses showing both Hollywood and independent films and museums and art galleries. The city organizes a lot of annual fairs and festivals such as the 24-day filmfest that excite local and international tourists. Space Needle is the icon of the city. This 605 - feet tall observation tower constructed in 1961 for the 1962 World's Fair, gives a great view of the city from the top. 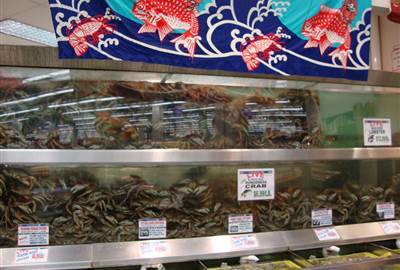 The oldest continuously operated public market in the United States. 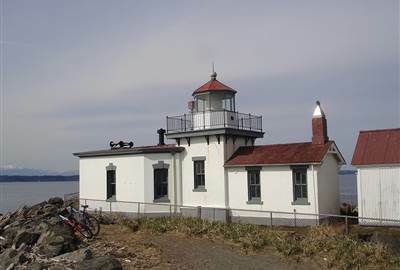 It was built in 1903 and opened in 1907. 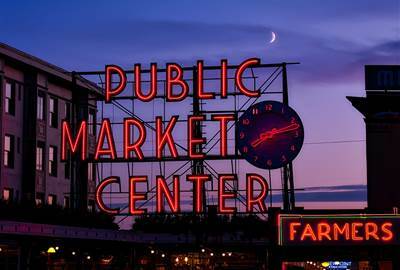 The market is Seattle's most popular tourist destination with 10 million visitors annually. It is also listed in the US National Register of Historic Places. 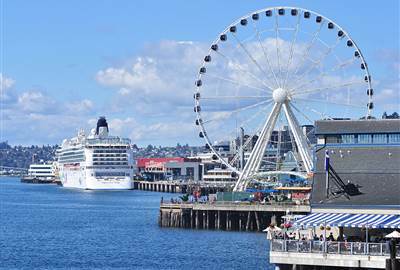 Seattle Great Wheel is a giant Ferris wheel constructed in April, 2012 and opened in June, 2012. The structure stands at 175 - feet above Pier 57 and has 42 climate-controlled gondolas, each can carry up to 8 persons except for the VIP which carries four. 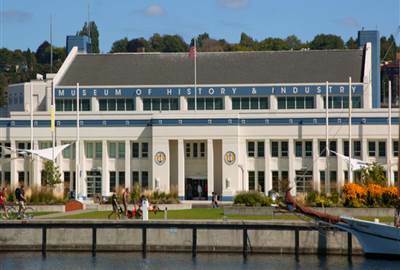 The Museum of History & Industry, a history museum located in the South Lake Union neighborhood of Seattle, is the largest private heritage organization in the State of Washington. It was established in 1952 and maintains a collection of nearly 4 million artifacts, photographs, and archival materials that primarily focus on Seattle and the greater Puget Sound region. Discovery park is the largest city park in Seattle. The site covering 534 acres of natural park, is one breathtaking majesty. This park which was created in 1970 provides an open space of quiet and tranquility, a sanctuary for wildlife, as well as an outdoor classroom for people to learn about the natural world. Green Leaf craft some of the surest Vietnamese food and is known for serving one of the best pho's in the city. 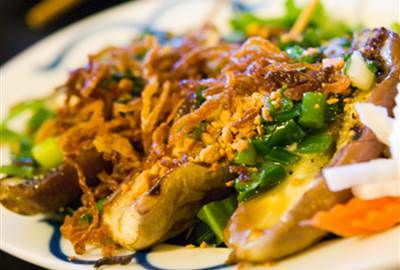 Most popular dishes include the crisp, delicate banh xeo crepes, fresh spring rolls and wonton. It serves real food, grown and harvested by the folks in the community. 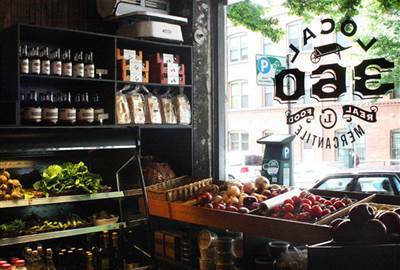 90% of the restaurant's raw ingredients are sourced from within 360 miles radius of Seattle. It also offers one of the best burgers in Belltown. The Portage Bay Café is a breakfast and brunch restaurant in Seattle. The one in Ballard serves brunch all day, every day. 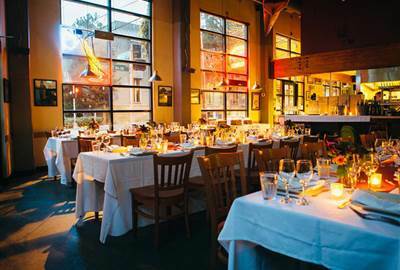 The restaurant is a food haven known for its local and organic ingredients and delicious American fare. 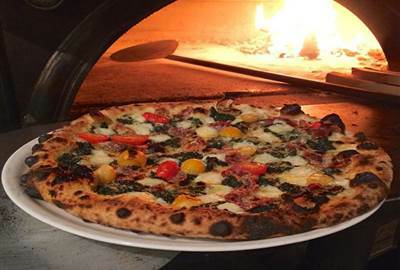 Bar del Corso is a pizzeria, restaurant and bar in the Beacon Hill neighborhood serving wood-fired pizza, and Italian small dishes for over 8 years. 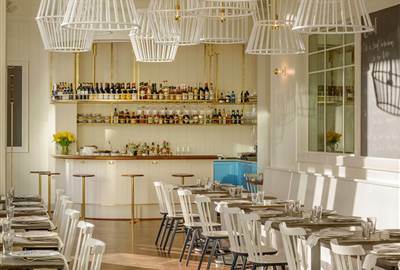 The restaurant showcases local, seasonal produce, Italian salumi and cheese, and regional Italian wines. Bateau is a French word for "boat." Bateau Restaurant is a contemporary steakhouse in Capitol Hill serving beef which are butchered and dry-aged in-house. Bateau is Seattle Met's – a local monthly magazine for Seattle – Restaurant of the Year for 2016. Cuisine in the district. They serve Korean steak house: kalbi-marinated short ribs to dry-aged bone-in rib eyes, butchered in house. 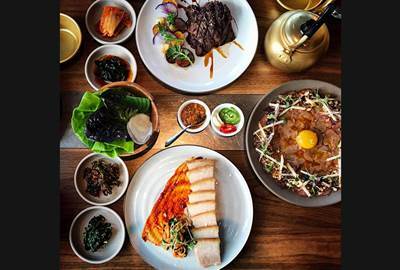 Meats are all served with ssam (herbs, leaves, and vegetables for wrapping) and banchan. Chihuly Garden and Glass is an exhibit which opened in 2012. 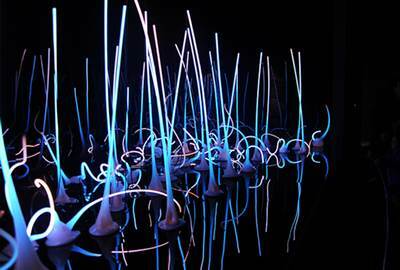 It is located in the Seattle Center showcasing the studio glass of Dale Chihuly, an American glass sculptor and entrepreneur. The project includes three primary components: the Garden, the Glasshouse, and the Interior Exhibits.